Are you a landlord? Do you own and rent property? Do you have problem tenants? If you answered yes to any of these questions you may want to read this article. Jury trials are a nuisance to landlords who are legitimately trying to evict their tenants for nonpayment of rent or other tenant caused issues. We are seeing more and more tenants request eviction jury trial. We are also seeing more and more tenants win eviction jury trials. However, it does not have to be this way. landlord, there is a way for you to avoid this happening to you. It all begins with your lease to rent. You must ensure the section for attorney fees within your lease states neither side can collect more than $500 in attorney fees from the other. This simple sentence can save you, potentially, thousands of dollars. If you have never been a party involved in an eviction jury trial within an unlawful detainer case then it may be difficult for you to process what I’m trying to explain. However, just envision spending over $2000 for a case that you should win outright and spend a fraction of that cost. Let’s take for example, a case of nonpayment of rent. You serve your tenant with an unlawful detainer complaint. Your tenant in response, answers and requests an eviction jury trial. At this point, you must retain an attorney to help assist you in preparing for the eviction jury trial. This preparation includes but is not limited to meet and confer sessions between attorneys to hammer out jury instructions and the introduction of evidence, discovery which may mean more time your tenant lives rent free at your expense. Discovery within an eviction case typically means interrogatories, however, in complex commercial evictions it may include expensive depositions. Either way you put it, you will be paying for additional attorney time which means more money. By simply adding this $500 limit in attorney fees to your lease you may be saving yourself a lot of time and money because any eviction you bring forward will, more than likely, be heard in a non-jury trial setting. 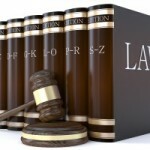 Which means your tenant must face a judge and answer tough questions concerning the reasons for your complaint. The reason why this is a good protective measure against a tenant requesting an eviction jury trial if you choose to evict them is due to economics. $500 is not enough incentive for an attorney or a tenant to pay for their legal fees. 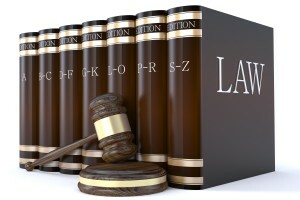 Therefore, the tenant will have a tough time finding an attorney who will take the case because most tenants do not have the money to pay an attorney upfront and the promise of a big payday upon a win is not there for the attorney because attorney fees are set for no more than $500 within the lease.